Icon was one of the most hyped projects entering this year with huge expectations pinned to the “korean Ethereum”. The whole year was marked with strong bear grip of the crypto market, squeezing out the joy, motivation but also money out of both altcoin team projects and their supporters. Icon was worth $12 at one point back in February 2018 before a prolonged nosedive took it all the way down to the current $0.21 per token. That is a 98% drop, one of the largest price losses in the whole market. Icon has a big objective: interoperability, provide a platform where companies from financial, security, insurance, healthcare, educational, and commerce industries can coexist and transact on a single network. One of the major benefits for Icon is that it is the biggest blockchain project coming from a very tech-savvy South Korea. It’s a nation quick to embrace technological change. You could probably pin this to Korea’s incredible economic development in the latter half of the 20th Century, when it was transformed from an impoverished country in the aftermath of the Korean War into a wealthy nation with the 12th largest economy in the world. As reported by Quartz, more than 30% of employees within South Korea have owned cryptocurrency at some point. 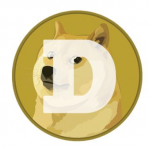 The ICON blockchain project was started by Korean fintech startup incubator Dayli Financial Group, which also owns Coinone, one of the country’s largest crypto exchanges. One of the more interesting upcoming element of the ecosystem is the alleged decentralized exchange based on ICON mainnet. With ICONex wallet and ICON Tracker block explorer software, this upcoming DEX will help ICX and IRC2 (similar to the ERC-20 standard) holders exchange their tokens in a safe, transparent way. Additionally, ICON’s DEX is expected to increase the liquidity and usability of IRC2 tokens in the ICON Network. 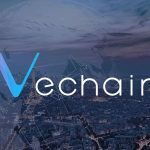 What is up with VeChain (VET) transaction volume wild swings?